If you are interested in fishing, you will undoubtedly like this simple yet beautiful fishing boat hoodie. A useful tool for fishing, there is something serene about a sunset with a fishing boat in the foreground. 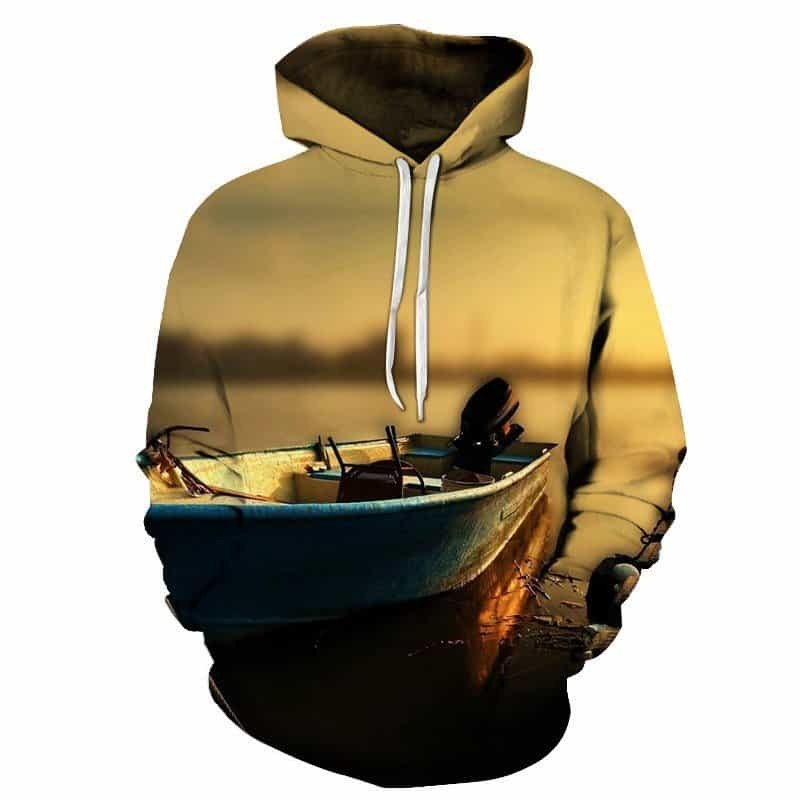 This fishing boat hoodie features a beautiful sunset backdrop with calm waters and a fishing boat floating.